John Simoncelli is a Licensed Clinical Social Worker and Licensed Alcohol and Drug Counselor. He holds Master’s Degrees in Social Work and Public Administration from the University of Connecticut. John is a practicing mental health therapist and addiction specialist. He is the Director of Authentic Recovery, LLC, a private practice group he established in 2014. John joined Greenwoods at the Executive Director in 2017. As a lifelong resident of Litchfield County, John cares deeply about his community and is committed to improving access to mental health treatment. 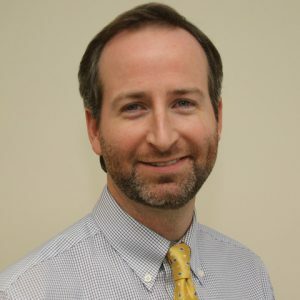 John is a member of the Executive Committee of the Litchfield County Opiate Task Force and is passionate about educating the public concerning the connection between trauma, addiction, and other mental health issues. In addition to his administrative duties, John continues to carry a small caseload of clients. He specializes in the treatment of trauma and addiction, and uses a number of modalities including Eye Movement Desensitization and Reprocessing (EMDR), Rational Emotive Behavior Therapy (REBT), and Motivational Interviewing. He believes that a truly genuine therapeutic experience is essential for positive change to occur.